/ Is the Cats Meow Toy as Fun as It Looks? 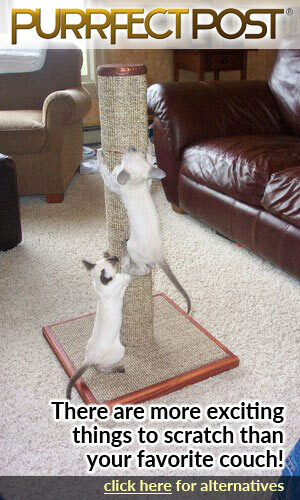 Is the Cats Meow Toy as Fun as It Looks? Dyson and I decided to try out the Cats Meow toy after seeing this advertised on TV. This sounded great – a toy that she could play with when I was busy working. 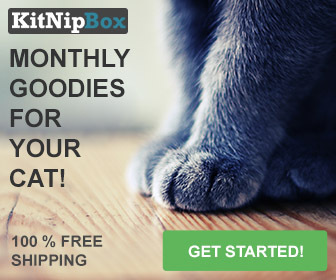 As I have an indoor cat this sounds like a great idea, and as I also liked gadgets I rushed to buy one. Sometimes I don’t always have time to spend a couple of hours playing with my cat and this is perfect for those times. 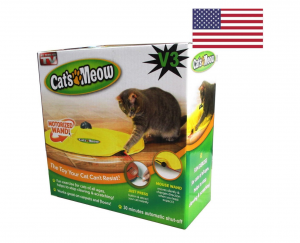 The Cats Meow toy is actual a very simple idea. Basically, you have a round nylon cover and a hidden wand that whips around under the cover. Part of the wand sticks out and is visible. 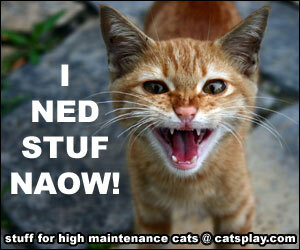 This is meant to help promote cat’s natural behaviour. After all, how many times do you find that your cat chases your feet when you are under bed covers? This is almost the same but you have a wand instead of your feet. Therefore, this helps to promote hunting and prey behaviour. The unit is powered by three C batteries and this console sits in the middle of the toy. It has a simple on/off switch. Sadly the new versions of this toy only have one-speed setting. My version is a little older and had four speed settings (one of which was random). How it works is that you switch it on and then the wand whips around under the nylon. Your cat will then merrily chase or pounce or try and catch the wand. Setup was very simple – just unscrew the back of the battery compartment (I did need a Phillips screwdriver for this), pop in the 3 batteries which are not supplied, then push the wand into the centre compartment and fit the nylon circle over the top. You then screw a ring over the centre console to hold the nylon in place. When switched on; the wand then swings back and forth, randomly changing direction and speed and imitating a mouse under a cover. My cat loves this action as it is an instinctive reaction to chase prey. My initial thoughts were that I was worried that the nylon skirt would be rapidly ripped to shreds but it has actually stood up to about 12 months of use very well. My cat does catch it now and again but as of yet she has not ripped it. The wand is also still intact though I have seen that you can now buy replacement wands for the unit. The Cats Meow unit does switch itself off after about 30 minutes of play which is fine if you are at home but not much use if you are out for the day. See the following video. My one reservation about the Cats Meow is the batteries. C batteries are quite expensive and the unit does need three of them. Also, I don’t usually keep C batteries in-house as I do not use them for anything else. Therefore sometimes we cannot play with the toy as we have run out of batteries. I also do find that the C batteries only last for about one hour of play before the toy really starts to slow down. I do like the idea of this toy and my cat does have fun with it. As the switch on button is on the top of the console, she can “accidently” switch it on herself. But then she gets a little confused when she also switches it back off. The new versions only have the one speed setting. Overall the Cats Meow toy has been a fun purchase. It has stood up to Dyson jumping around it and grabbing the nylon. We don’t have any rips in the nylon. Our main concern though is with batteries. You do need three C batteries for this to work and it does use a lot of battery power. If you are going to keep using it then it is best to get rechargeable batteries. It does also allow Dyson to play by herself whilst I am working. And it does raise a chuckle watching her stalk the wand. For fun factor, we do give the Cats Meow toy a paws up but the really bad battery life is a big negative. I also think that the latest version with just the one speed setting is a bit of a downgrade on the original product. 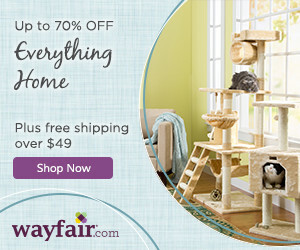 Interesting site about a cat toy. I will admit I use to be a cat person I am not now for some reason I switched to dogs. But I like how you went through everything about the toys. 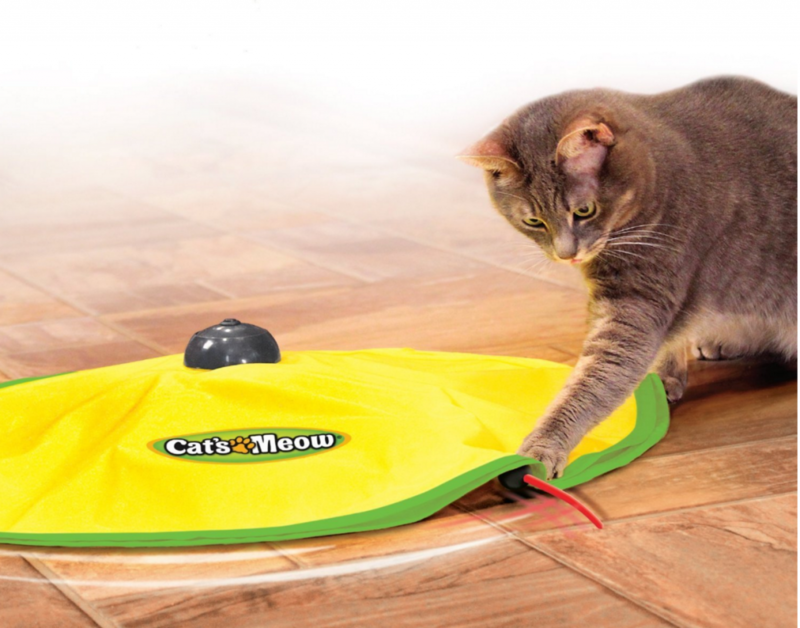 Cats seem to love toys that keep them guessing and they can chase something. Good job on photos and the videos. That looks like it would be a lot of fun!! We used to have a cat and my boys would have loved using this to play with them. Makes me want to go out and get another cat. Thank you. Oh yes it is a lot of fun – I have a lot of video footage of my cat being completely silly playing with it. Before I discovered that I was horribly allergic to them, I used to have cats 🙂 My cats would have loved the Cat’s Meow toy. 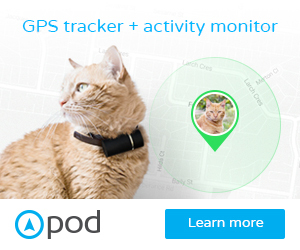 I like that it has a random variable speed setting which should keep the cat guessing and on its toes. My mother still has a cat at her house. I’ll bookmark this page and mention the toy to her! Haha what a great invention. I remember when I had a cat I used to play with her by using a chopstick and going on the other side of the door while poking the chopstick through the bottom. She loved it and this reminds me of that with the tail moving around under the blanket. I do agree about the batteries though. Wish they used standard sized batteries but maybe those weren’t powerful enough. Loved your post and thanks for bringing up such good memories about my cat! Thanks very much for your comment and what a sweet memory of your cat. I think i do something like that but usually its my finger (ouch).